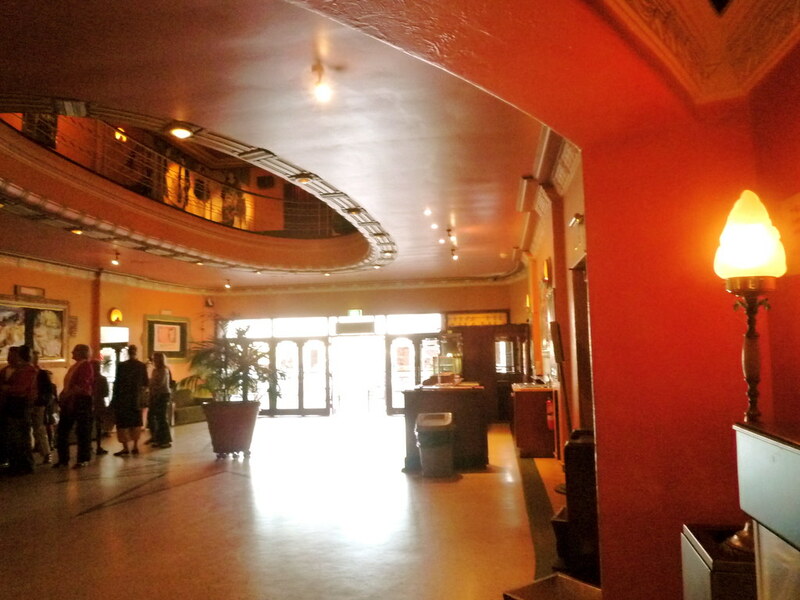 Went to the movies with Mum and Dad last weekend, down at the Astor. 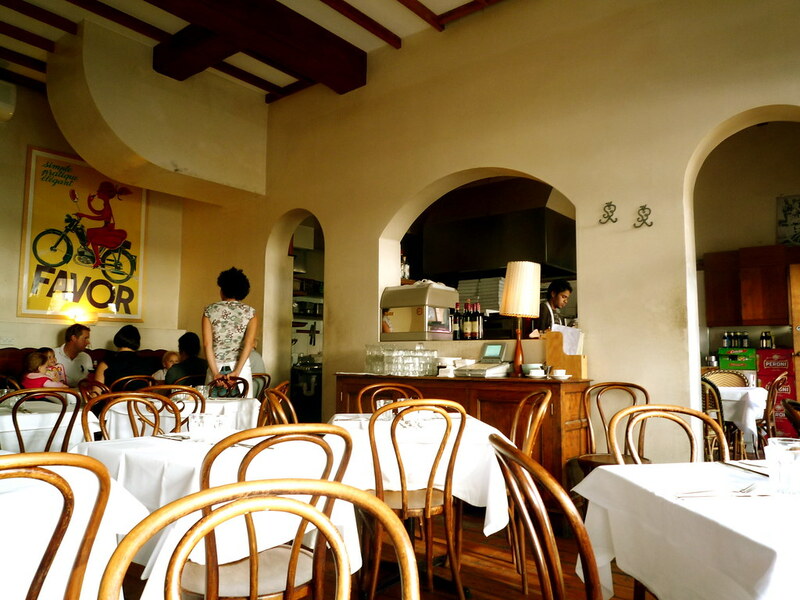 Before the movie we decided to grab a quick bite down at I Carusi II, the St Kilda sequel pizzeria to East Brunswick's I Carusi. I've been to both versions of I Carusi, and never had a dud pizza. I almost ALWAYS order the Funghi Porcini pizza at I Carusi, but this time I was determined to try something different. 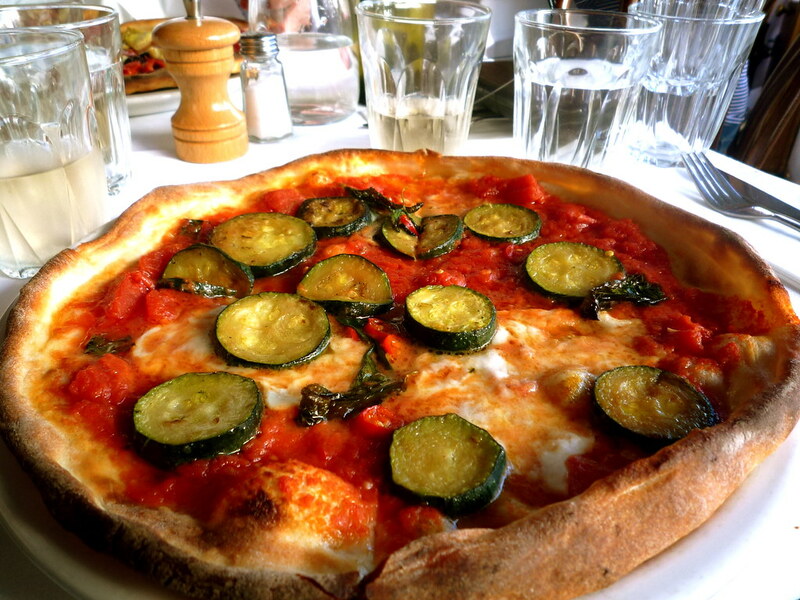 The Zucchini pizza caught my eye: tomato, mozzarella, zucchini, mint and chilli ($16, but I paid the extra $2 to upgrade to mozzarella di bufala - money well spent, in my opinion). I was curious to see how the slightly unusual choice of mint would work... and folks, it rocked. The chilli was powerful but the mint gave the pizza a fantastic lift. You must try this pizza! 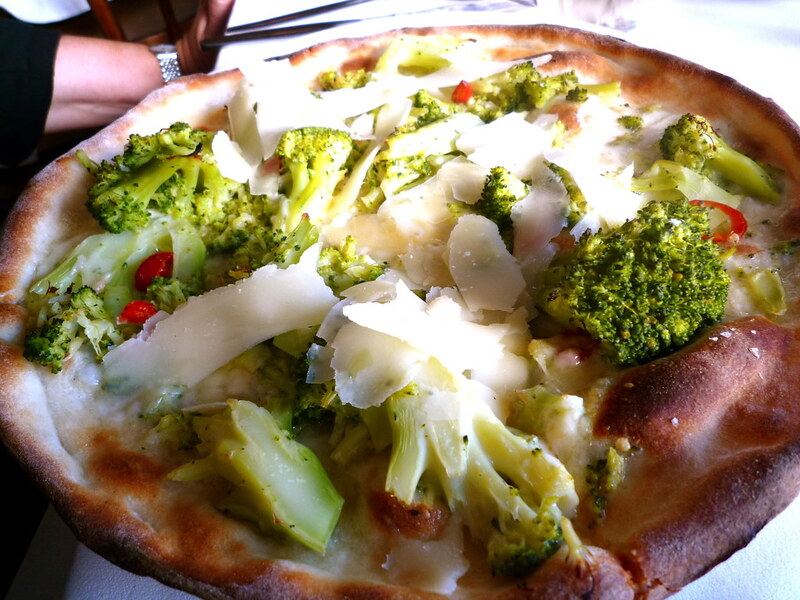 Mamma prefers pizze bianche, so she ordered the Broccoli pizza ($16.50 in bianco, with mozzarella, broccoli, lemon, chilli and parmigiano). It was fairly similar to mine (again it was pretty damn chillied, but the lemon kept it fresh). 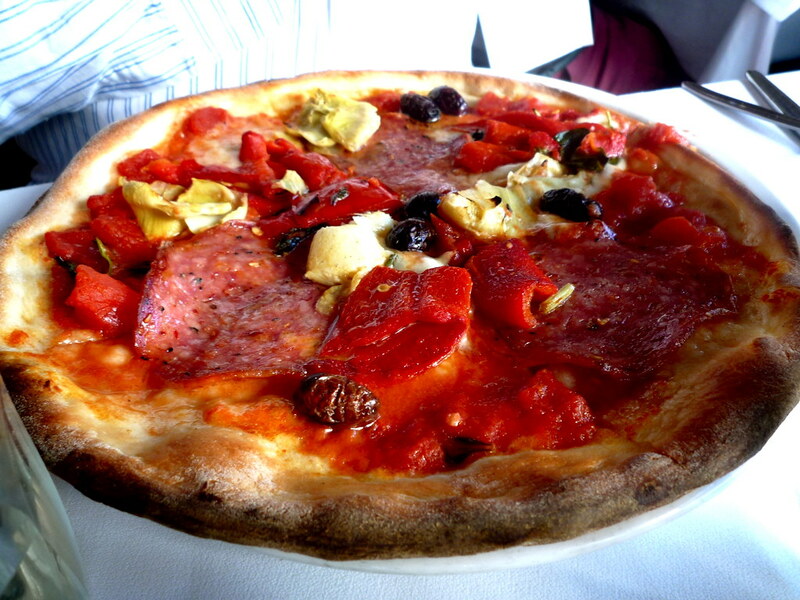 Dad had the Speciale pizza ($17), with tomato, mozzarella, soppressa, roasted peppers, artichokes and olives. Another good 'un. These guys know how to make proper Italian pizze. Just being in the Astor lobby makes me happy. And this is Marzipan, the Astor cat. 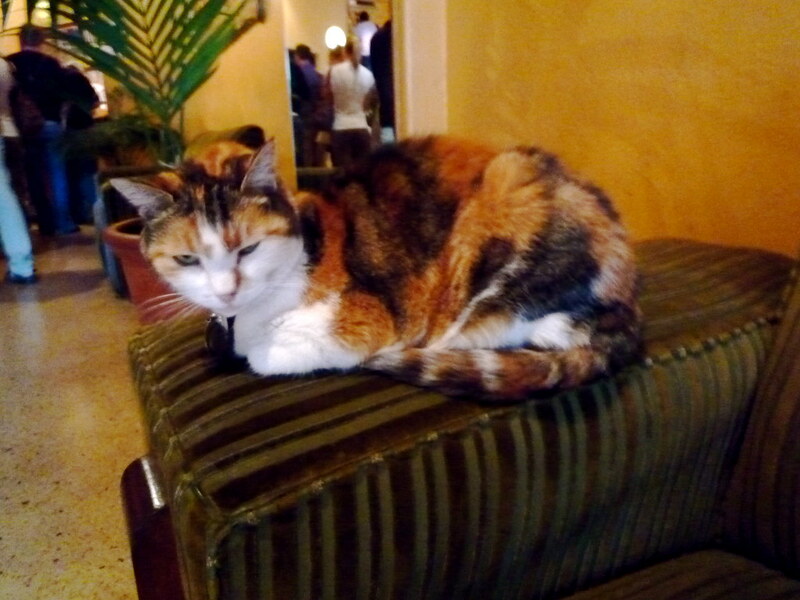 She's 15, so was just a kitten when I first started visiting the Astor. It's always nice to see her sitting in the lobby or on one of the couches upstairs, and I remember being MOST chuffed when she once elected to sit on my lap during a midnight screening of 2001: A Space Odyssey. Back in the day when she was a little more spry, she liked running along the parapet at the front of the balcony during a movie, startling the front row. She freaked everyone out last year when she went missing, but happily she showed up again two weeks later! Great shots. I recognised that lobby AND the cat although I haven't seen them in the flesh for some years. Must revisit.